Investments is defined as an asset or item that is purchased with the hope that it will generate income or appreciate in the future. In an economic sense, an investment is the purchase of goods that are not consumed today but are used in the future to help create wealth. In finance, an investment is a monetary asset that is purchased with the hope that the asset will provide income in the future or be sold at a higher price. Whether you are an experienced investor or just beginning, the financial landscape has changed and continues to change daily and trying to stay abreast is more difficult today, even with all the technology. Knowing which ones carry more risk, higher fees, liquidity and dividends can take a long time to research and even then will probably still leave you with questions. We pride ourselves on being dedicated to being your one resource to help eliminate the confusion surrounding all the different types of investments available. Wealth strategies is more than just the accumulation of assets. Another important aspect is taxes and how that plays into the distribution of either income or legacy? Having a plan that will incorporate “non-taxable” income in retirement not only allows you to keep more of your money but gives you options for unforeseen circumstances. 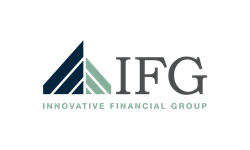 At Innovative Financial Group Atlanta, wealth strategies include looking outside the box. We understand the importance of wealth accumulation but also know once you get to retirement, the distribution phase will start. With distributions (income) comes taxes and making sure not all your income is taxable needs to be addressed. And this needs to be considered well before your retirement years. Contact us today for a complimentary consultation regarding your current wealth strategy and how we can be of service.